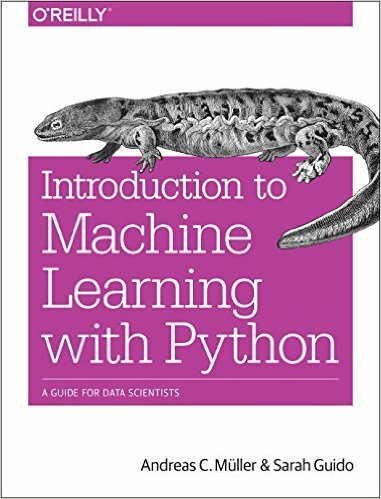 I'm an Associate Research Scientist at the Data Science Institute at Columbia University and author of the O'Reilly book "Introduction to machine learning with Python", describing a practical approach to machine learning with python and scikit-learn. I am one of the core developers of the scikit-learn machine learning library, and I have been co-maintaining it for several years. I'm also a Software Carpentry instructor. In the past, I worked at the NYU Center for Data Science on open source and open science, and as Machine Learning Scientist at Amazon. You can find my full cv here. My mission is to create open tools to lower the barrier of entry for machine learning applications, promote reproducible science and democratize the access to high-quality machine learning algorithms. You can find my institute website and information about the courses I'm teaching at www.cs.columbia.edu/~amueller/. Introduction to Machine Learning with Python provides a practial view of engineering machine learning systems in Python. The premise of the book is to enable people to learn the basics of machine learning without requiring a lot of mathematics. We therefore keep the amount of formulas to a minimum, and instead rely on code and illustrations to bring across the driving principles behind applying machine learning. We heavily focus on the use of the scikit-learn machine learning library, and give a detailed tour of its main modules and how to piece them together to a successful machine learning pipeline. 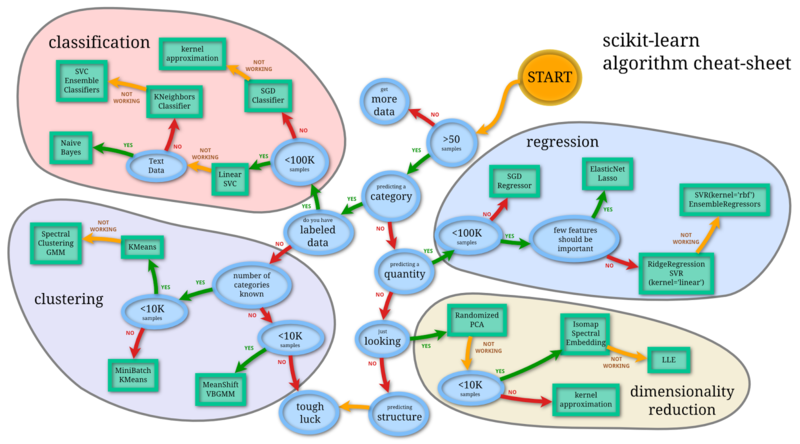 Scikit-learn has emerged as one of the most popular open source machine learning toolkits, and is widely used in academia and industry. Scikit-learn provides easy-to-use interfaces to perform advanced analysis and build powerful predictive models. PyStruct is an easy-to-use Python library for performing structured learning and prediction. While this is a very active area of machine learning, few high-quality and easy to use tools exist. PyStruct provides a common interface for several widely used algorithms and use-cases. 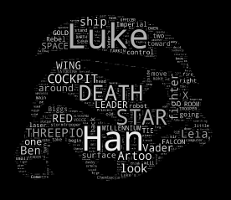 A side-project that started as a weekend-hack, this simple word-cloud generator has found many friends in the python community. It uses a very differnt algorithm than the populare D3 variants inspired by wordl and allows arbitrary shapes and very dense packing of words. 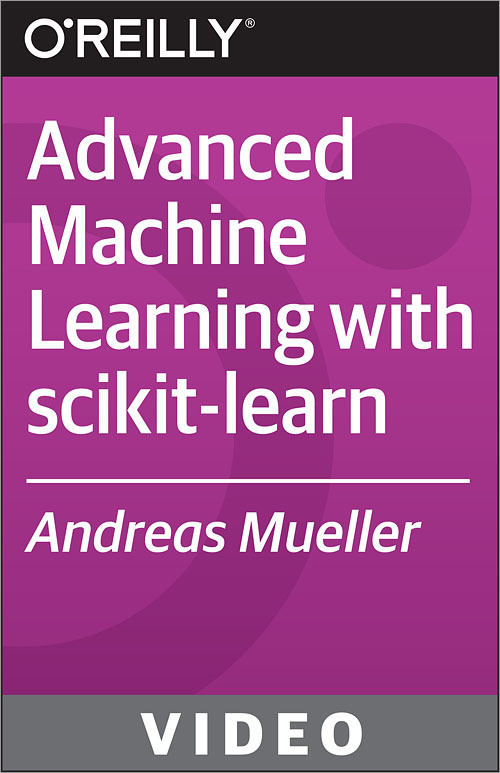 In this Advanced Machine Learning with scikit-learn training course, expert author Andreas Mueller will teach you how to choose and evaluate machine learning models. This course is designed for users that already have experience with Python. You will start by learning about model complexity, overfitting and underfitting. 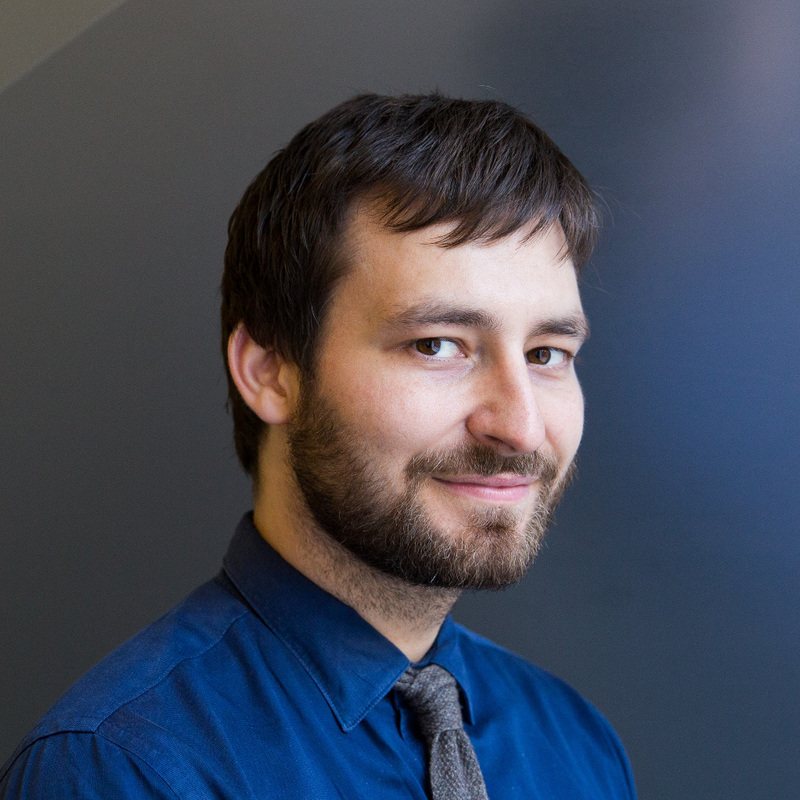 From there, Andreas will teach you about pipelines, advanced metrics and imbalanced classes, and model selection for unsupervised learning. This video tutorial also covers dealing with categorical variables, dictionaries, and incomplete data, and how to handle text data. Finally, you will learn about out of core learning, including the sci-learn interface for out of core learning and kernel approximations for large-scale non-linear classification. Once you have completed this computer based training course, you will have learned everything you need to know to be able to choose and evaluate machine learning models. Working files are included, allowing you to follow along with the author throughout the lessons. 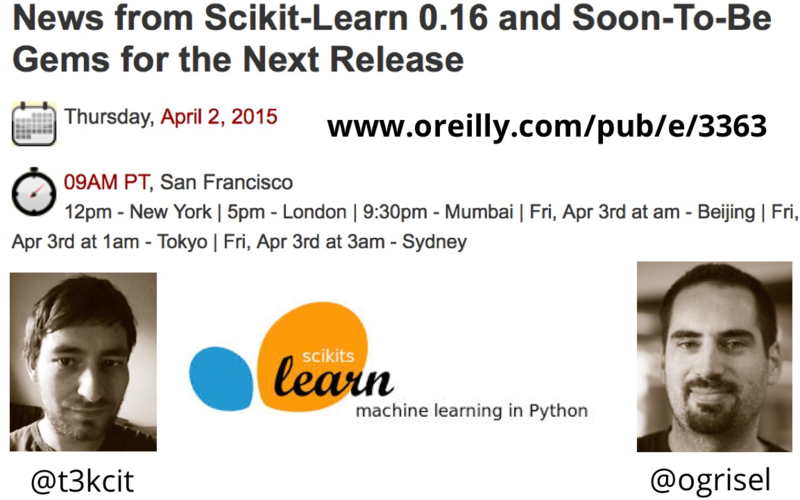 This talk lays out the principles guiding the design of scikit-learn, focussing on usability and maintainability. I'm also discussing some continuing challenges, like feature creep and increasing complexity, and future directions. In this talk I'm discussing the why and how of automatic machine learning. I start with an explanation of the goals of automatic machine learning, and introduce meta-learning. The talk goes on to discuss recent research, available implementation and what I think we should be working on in this area. The two times four hours of introductory tutorial from 2016 SciPy. Starting from what is machine learning to model building and more advanced topics. This is a somewhat updated version from last year's tutorial. The session is split up into two videos. The two times four hours of introductory tutorial from 2015 SciPy. Starting from what is machine learning to model building and more advanced topics. The material is loosely based on the 2013 SciPy tutorial by Olivier Grisel, Gael Varoquaux and Jake Vanderplas. This talk introduction covers data representation, basic API for supervised and unsupervised learning, cross-validation, grid-search, pipelines, text processing and details about some of the most popular machine learning models. The talk concludes with remarks on scaling up computation to large datasets, and how to perform out-of-core learning with scikit-learn. In the days of the "big data" buzz, many people build data driven applications on clusters from the start. However, working with distributed computing is not only pricey, but also requires a large engineering effort and removes interactivity from the data exploration process. In this talk I will demonstrate how to learn powerful nonlinear models on a single machine, even with large data sets. This can be achieved using the partial_fit interface provided by scikit-learn, that implements stochastic updates. Together with stateless transformation of the data, such as hashing, kernel approximation and random projections, these allow incrementally building a model without the need to store all the data in memory, or even on disk. Olivier Grisel and I give an overview of the 0.16 release, moderated by Ben Lorica. We also show off a couple of cool feature in the PRs, and there is a Q&A with the viewers at the end. You need to register to see the video, but it is free. 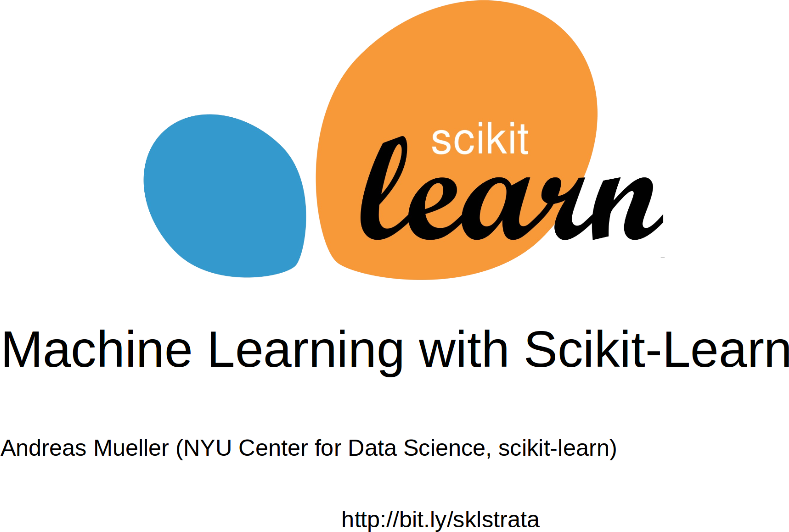 A somewhat expanded version of my PyData NYC talk "Advanced scikit-learn", the talk briefly explains the scikit-learn API and goes into some depth on pipelining and grid-searches. I describe the advantages of randomized parameter search, when it is applicable, and which metrics to use for model selection. At the end, I talk about how to do out-of-core learning. This tutorial covers basic concepts of machine learning, such as supervised and unsupervised learning, cross validation and model selection. I talk about how to prepare data for machine learning, and go from applying a single algorithm to building a machine learning pipeline. I also go in-depth on a couple of algorithms and describe what overfitting and underfitting looks like for these. A brief intoduction into scikit-learn, and the basics of pipelining and grid searches. I talk about the bias-variance tradeoff, and helper functions in scikit-learn to diagnose over-fitting and under-fitting. I also talk about randomized hyperparameter search and out-of-core learning. The last part of the talk is a brief introduction to PyStruct and Structured Prediction in general. I talk about recent developments in commoditizing machine learning, and what I think needs to be done to help non-experts to apply machine-learning more easily and more effectively. GetMobile: Mobile Computing and Communications, 2015. Journal of Machine Learning Research (JMLR), 2014. In Proceedings of IEEE International Conference on Robotics and Automation (ICRA), Hong Kong, May 2014. ECML PKDD 2013 Workshop on Languages for Data Mining and Machine Learning. In Proceedings of 9th International Conference on Computer Vision Theory and Applications (VISAPP), Lisbon, January 2014. First IAPR Workshop on Partially Supervised Learning (PSL), Ulm 2011. Neurocomputing 74(9):1411-1417, Elsevier, April 2011. 20th International Conference on Artificial Neural Networks (ICANN), Thessaloniki, Greece, September 2010. A guide to picking a model in scikit-learn based on the dataset and task. It tries to give a point to start for beginners, not absolute rules, so take it with a grain of salt.